Connected vehicles and intelligent vehicles have been identified as key technologies for increasing road safety and transport efficiency. 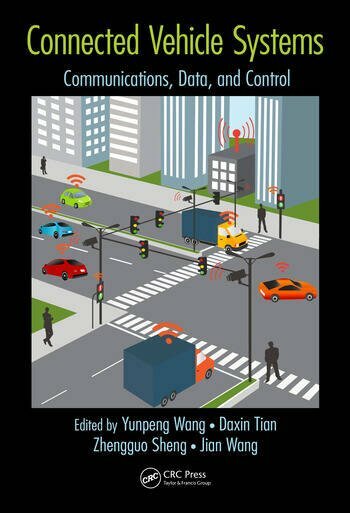 This book presents and discusss the recent advances in theory and practice in connected vehicle systems. 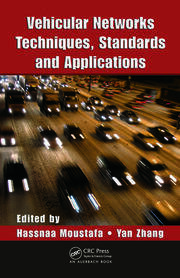 It covers emerging research that aims at dealing with the challenges in designing the essential functional components of connected vehicles. Major topics include intra- and inter-vehicle communications, mobility model of fleet and ramp merging, trace and position data analysis, security and privacy. Intra-vehicle Power Line Communications: Introduction of In-vehicle communication Buses. CAN-based Media Access Control Protocol. Worst Delay Analysis of Intra-vehicle Communication Buses. 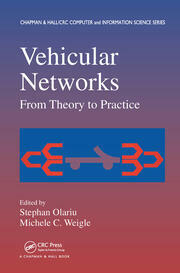 Inter-vehicle Communications: Physical Channel Modeling and Sharing. MIMO Transmission. Efficient Broadcasting. Lightweight and Adaptive Security Mechanism. Model and Safety Control: Mobility Driven by Connected Vehicles. Mobility Modeling with Swarm Behavior. Platoon Collisions. Winding Roads Collisions. Dr. Daxin Tian is an associate professor in the School of Transportation Science and Engineering, Beihang University, Beijing, China. He received the BS, MS.and Ph.D degrees, in computer science, from the Jilin University, Changchun, China, in July 2002, July 2005, and December 2007, respectively. As a graduate student, he received the IBM Global Best Student award. From March 2008 to July 2008, he joined in the School of Computer Science and Technology, Tianjin University, Tianjin, China, as an assistant professor. From August 2008 to August 2009, he was a post-doctoral research fellow at the department of Electrical and Computer Engineering, University of British Columbia. He is the vice director of the Beijing Key Laboratory for Cooperative Vehicle Infrastructure Systems & Safety Control. 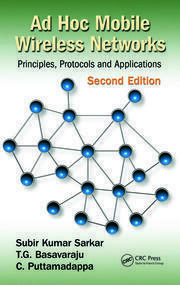 He has authored/co-authored about 80 journal/conference papers and book chapters. His current research interests include connected vehicle, mobile computing, vehicular ad hoc networks, swarm intelligence, and intelligent transportation systems. He is a senior member of IEEE, CCF and ITSC. He is serving on the editor in chief of International Journal of Vehicular Telematics and Infotainment Systems, the editorial boards of International Journal of Networked Computing and Advanced Information Management, Open Journal of Transportation Technologies. He services as reviewer of IEEE Transactions on Vehicular Technology, IEEE Transactions on Cybernetics, IEEE Communications Letters, IET Intelligent Transport Systems, Elsevier Computer Communications, Elsevier Computers & Electrical Engineering. He is the chair of the International Workshop on Vehicular Telematics over Heterogeneous Wireless Networks and the International Workshop on Connected Vehicles and Vehicular Networks. He has served on the technical program committee of some international conferences. He is a recipient of the IEEE YC-ICT2010 Best Paper Nomination Award, ICCTP 2011 Best Paper Award, ISDA 2006 Best Paper Award, the 2012 Beihang U. Blue Star Research Prize, and the 2013 Beijing Young Talents Research Prize. Dr. Zhengguo Sheng is a lecturer at School of Engineering and Informatics, the University of Sussex, UK. He is also the visiting faculty of University of British Columbia (UBC) and co-founder of WRTnode. Previously, he was with UBC as a research associate, and with France Telecom Orange Labs as the senior researcher and project manager in M2M/IoT. He also worked as a research intern with IBM T. J. Watson Research Center, USA, and U.S. Army Research Labs. Before joining Orange Labs, he received his Ph.D. and M.S. with distinction at Imperial College London in 2011 and 2007, respectively, and his B.Sc. from the University of Electronic Science and Technology of China (UESTC) in 2006. He has published more than 30 International conference and journal papers. He is also the recipients of Auto21 TestDRIVE Competition Award 2014 and Orange Outstanding Researcher Award 2012. His current research interests cover vehicular communications, IoT/M2M, cloud/edge computing, and power line communication (PLC). Dr. Jian Wang is an associate professor in Jilin University, China, and a visiting scholar in Hanyang University, South Korea. He received his BSc, MSc, and Ph.D. degrees in Computer Science from Jilin University, respectively in 2004, 2007, and 2011. He is interested in topics related to wireless communication and vehicular networks, especially for network security and communication modeling. He has published over 40 articles on international journals and conferences.